Travel is an excuse to challenge your beliefs and increase your perspective. Telling travel stories is an excuse to discuss society, philosophy, the evolution of modern relationships, and the state of contemporary marketing. 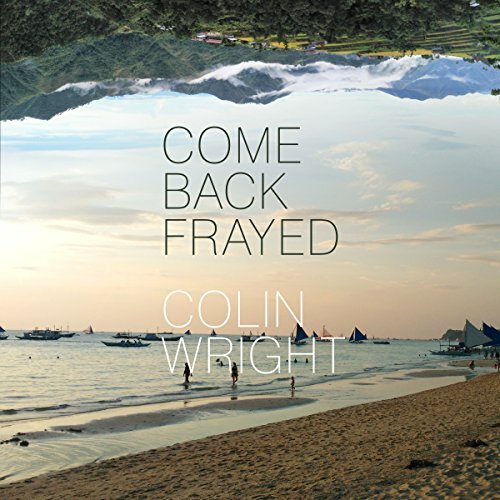 From the secluded rice terraces of Mayoyao to the expat-friendly beaches of Boracay, Come Back Frayed is a collection of stories and essays written about and from the Philippines by full-time traveler Colin Wright. The pieces in this collection connect isolated agrarian societies with those that have fallen prey to rampant consumerism, and draw a line between introverted, nonstandard lifestyles and the always-on connections that bind humanity together in the modern world. There's also some discussion about allergies, loincloths, and why cockroaches are so rage-inducing. Seriously enjoyable, while making you put serious thought to what's really important in your own life and what you could, potentially, do different. It seems to further justify some changes I've made in my own life, much to the dismay of family members. I really enjoy Colin's work. He is the guy with truly unique opinions that are backed my science and history. I wish he was more popular. People need to read his work! The challenges of new surroundings may make you realize you don't know what you think you know.